We have survived 4 months of ice and snow with little kids inside! 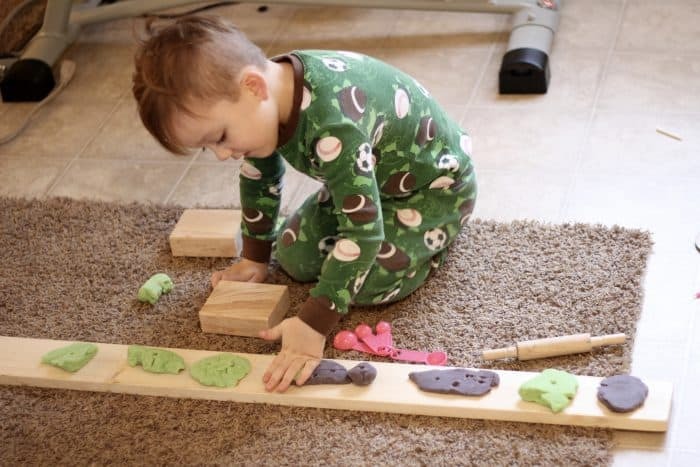 As a stay at home mom with a 2 and 3.5-year old, we have had to figure out some indoor activities for toddlers to help me (and them) not go crazy! We live in a two bedroom apartment so you can picture space is limited. I’ve made a list for you of some inside activities for toddlers that have kept us busy this winter. Also, I am not a mom with a ton of toys, or very crafty. So a lot of these ideas should be reproducible and fairly inexpensive. We do watch TV shows for my sanity, but it is a goal of mine to watch less and play more. Sometimes that just does not happen 🙂 Spring please hurry up! This is THE BEST indoor activity for toddlers and older kids! We installed ours when my oldest was 2. 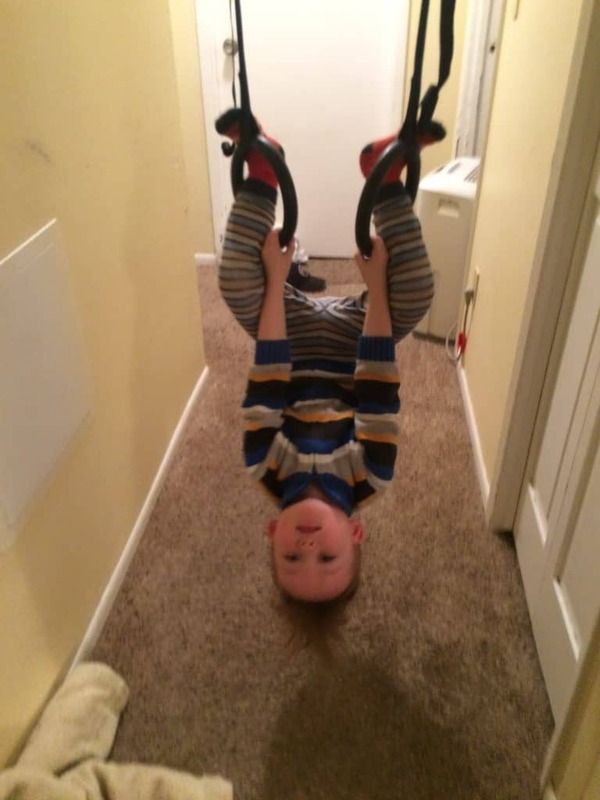 Peter inserted hanging rings from the ceiling in our hallway, and they have gotten used DAILY for the last two years! I’m not joking when I say my kids take turns on these gymnastics rings on and off ALL day. Perfect for age 2 and up, and you can make them longer or shorter. My 3.5 year old is also WAY stronger than other older kids at the park now because of these and can do the monkey bars alone. We tie the carabiners into the strings on the ring set. This allows you to easily adjust the height by clipping the carabiner into the Eye Bolts. And man will this a great way to get out energy inside. Update Mar 2018: Both my kids swing on these probably 10-20 times a day and have now for two years! This is a favorite, and once I set it up, they just climb up and down on things, trying not to touch the floor. This was a bakery and he was laying out Muddy Mud Pies from our favorite show Tumble Leaf. Be ready to have to “eat” a lot of creations! This is also the board we use for obstacle courses and as a balance beam. 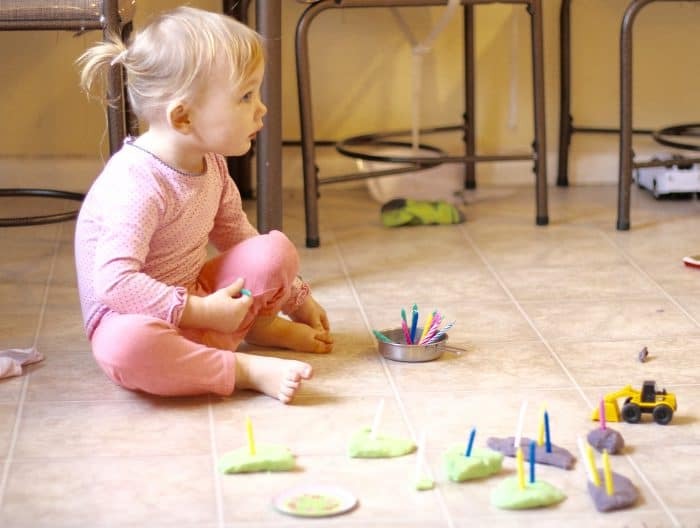 Candles make this indoor activity last way longer here. I’ve found when I do chores they play better than when I’m sitting down, go figure. They run and hide. Somehow it’s a game? I’ll take it. These are perfect for little kids because of how easily they stick together. Laila especially loves to just stack them. We also make a game of sorting the different colors and shapes it comes with. This was given to us free to test from Picasso Tiles. Also messy and plan on sweeping up, but cheap, and usually lasts 15-30 minutes. Rice could be even better. 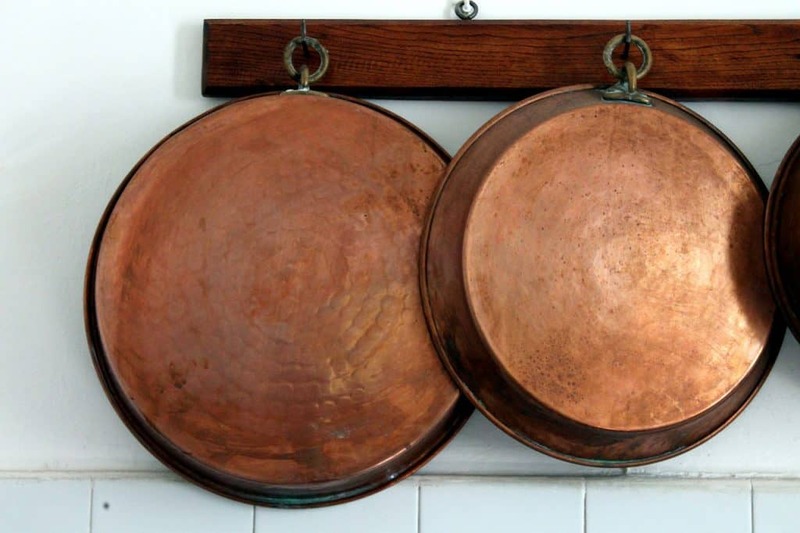 I lay a bunch inside of a cookie pan or 9×13 pan and have a few things they can use to play on the table. 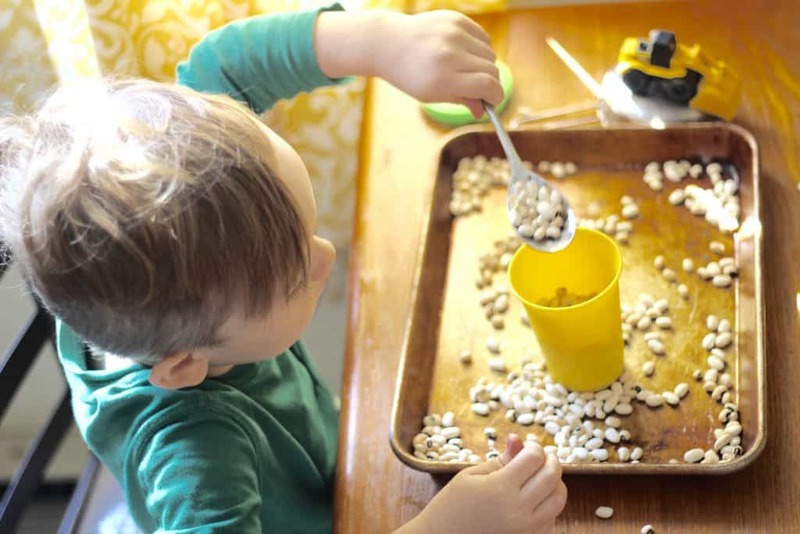 Their favorites include a spoon, a cup to fill up, and little diggers to scoop the beans. I can tell when they are getting bored when more and more start going onto the floor. Spoon in hand & some containers are a favorite 15-20 minute activity here, but warning it does require sweeping. Lots. He used to love to drive diggers around in them, but now filling up a cup just seems to do the trick. Their all-time favorite! 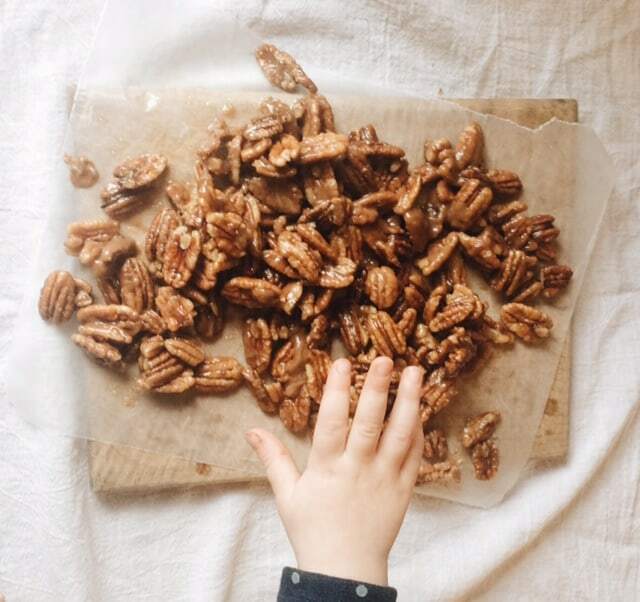 You can get this yummy candied pecan recipe here. 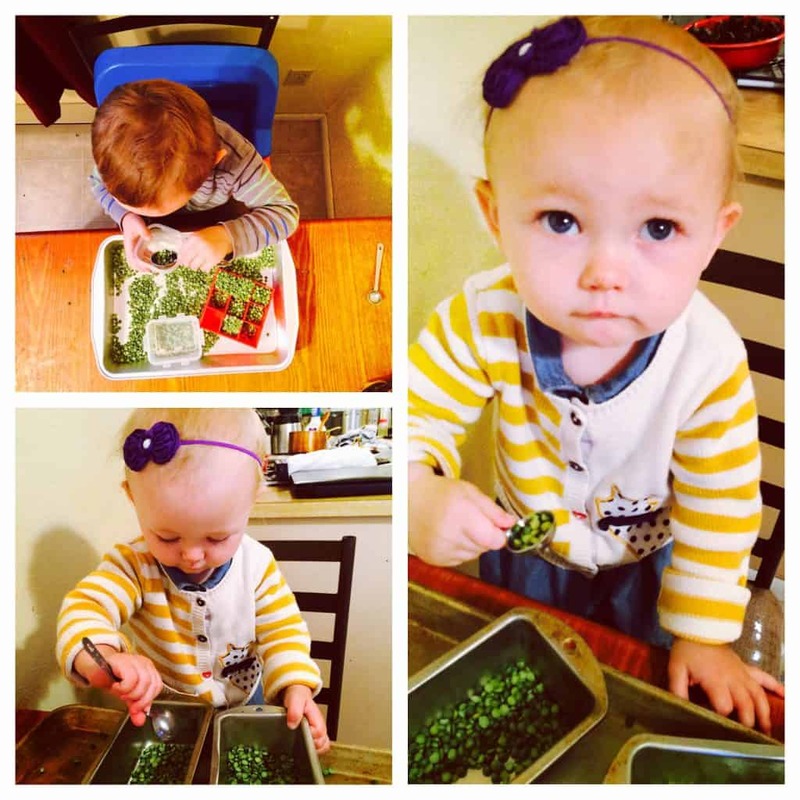 Who wants a play kitchen when you can make real food??! Haha. When I bake with them, I have to get into the mindset that it is for fun, an activity, not just a hustled thing to whip up. They want to “help”. Which means lots of flour spills, extra spoons and surfaces to clean, and making them take turns scooping. We got rid of our big toolset when downsizing toys, but kept some tools. Like the plastic hammer, drill with batteries, saw, hardhat and that’s about it! We also have real paintbrushes for playing. I tell them things that need fixing (for pretend) like the closet door or the kitchen chairs and they love to get to work. Sometimes they are not into it, but other times this goes on for 30 min to an hour, without my full attention needed! 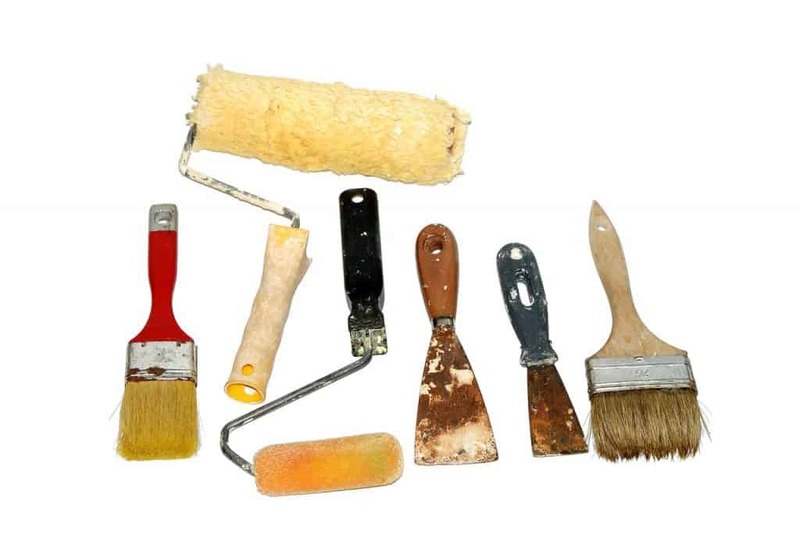 Use a dry paintbrush, roller, or any “real” looking tool around the house for a fun indoor pretend activity. You can use whatever you have, and they can “fix” or “paint” or whatever you suggest…its awesome. My 3 year old fixes daddy’s bike and pretend paints it all the time. I put the toy box in the middle of a cleared out living room and turn on Pandora kids station. They chase around, running, a great 15-minute activity! We especially love the soundtrack or DVD version of Hide Em In Your Heart by Steve Green which teaches them bible verses through music. Honestly, I’m pretty bad at knowing how to do “quiet time” but love the idea. Recently I just put out a pile of books in the living room, as well as paper and some pens, along with their soft fuzzy blankets and said they had to play quietly. This was hard to initiate and I had to kept telling them I was not going to read the books, but they could look at pictures and imagine. That was when I just needed a break from talking to toddlers, even for 10 min. They ended up getting the hang of it and I think it was nice! 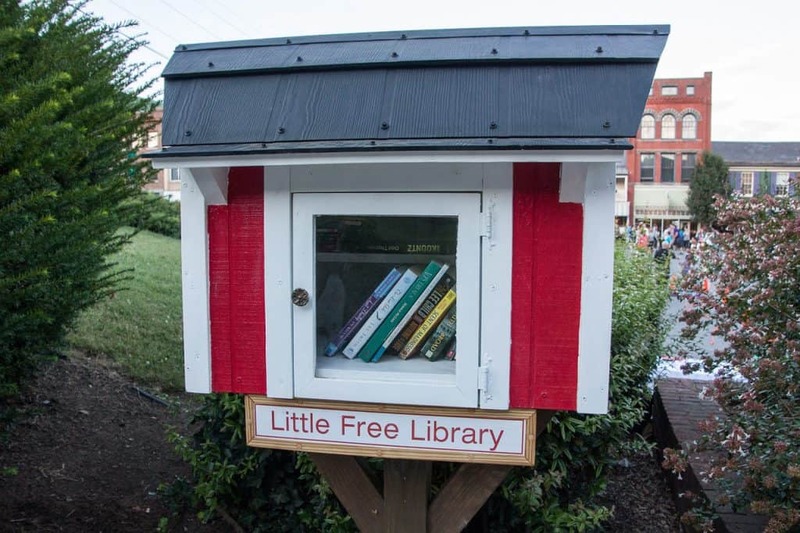 Check out littlefreelibrary.org to see if you have any of these near you! We take and drop off kids books all the time for free at these and locations are often registered online. For not being an artsy mom, this is a stretch for me. If I recommend one thing, its these Do A Dot paints. So much less messy with little sponge tips and they don’t spill (but do get on fingers)! It’s easy to paint old cereal boxes or rocks with them too. I make sure all the breakables or dangerous things are away from reach and put a few bottles and lids in there. Then I add a few empty cups and some scrubbers and she is happy for a loooong time! This seems to be Laila’s fav (2 years old). If you don’t want to waste a ton of water just put a pot full in the sink. For a list of our favorite books right now, see my top 10 here! I’m too lazy to drive 15 min to the library each way and right now its hard for me to get out with 2 and soon 3, so we have some books here and I read a little every day. The more I do this, the more they look at pictures on their own quietly at random, and when days go by without reading, they stop doing that! Doing this as a day activity gives us something to do inside, and helps me from feeling so overwhelmed at bedtime. It has lasted for 10 minutes when they hated baths, to this weeks all-time crazy over 2 hours of play and my 3.5 year old begging me to let him keep playing! 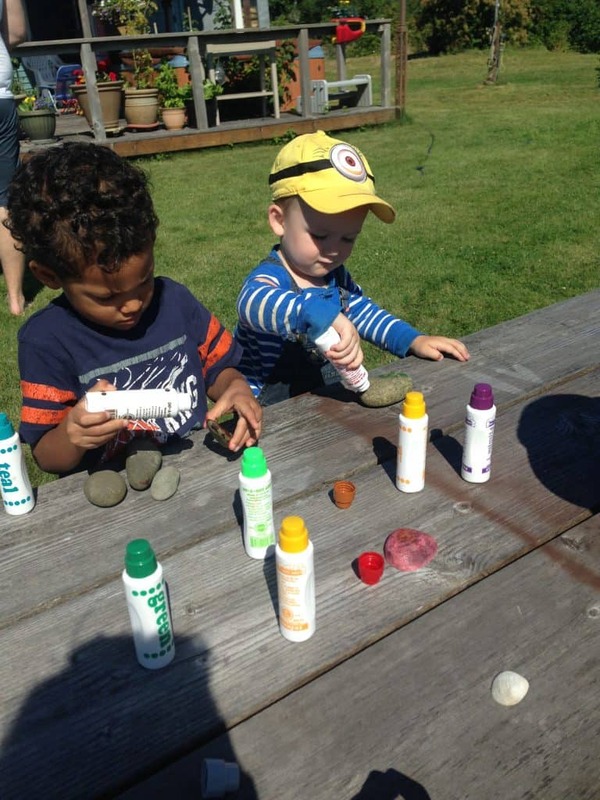 They love adding bath paints, teapots, and these cool water color tablets. Mostly Bob the Builder vests around our house… Thrift stores after Halloween are perfect for grabbing awesome dress up stuff for CHEAP! 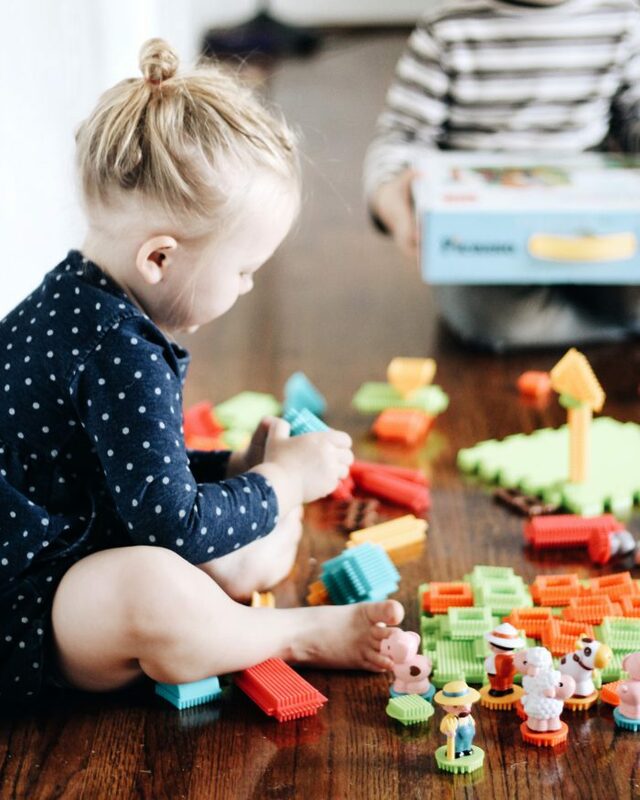 We love this Melissa and Doug builder dress up set! This set on Amazon is a perfect small wooden train starter set and interchangeable with all the major train tracks. We add engines from Ebay too. This is a 15-30 minute activity for us. 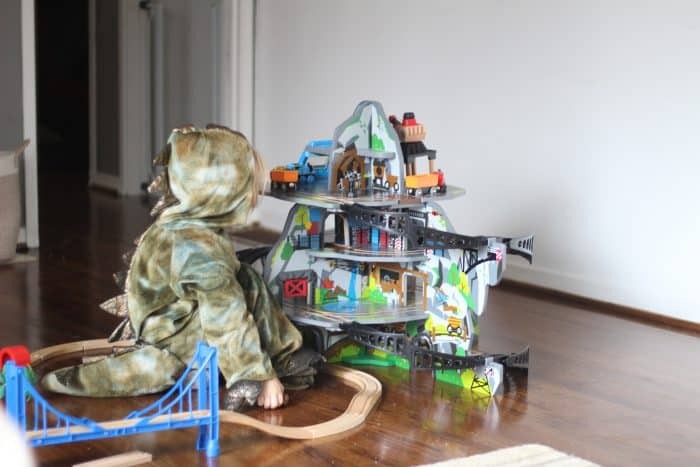 Sometimes my kids grab stuff from each other or scream about toys (which is so frustrating), so trains are a bit frustrating at this point unless one is sleeping. Once my middle child got old enough that she would break tracks and steal trains on purpose, I had to be more attentive with teaching how to share rather than “just trade her any toy”. Update: my oldest kids are 2.5 and 4 now and all that teaching has really paid off. They can play nicely, share, and take turns with the occasional fighting and whining. Now trains are a real joy! Also, since trains have lots of little parts, we keep them in a clear tub and put them away at the end of the day to keep my sanity. 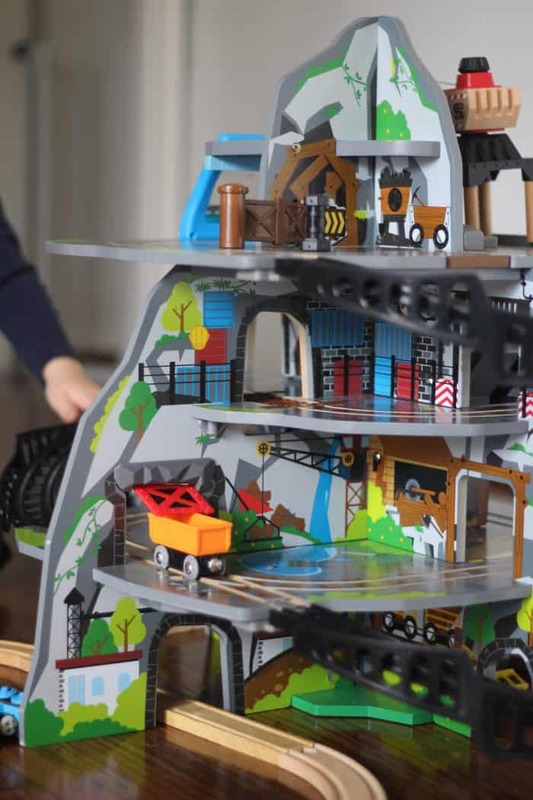 This Mighty Mountain Mine Set by Hape Toys is AMAZING! Hape Toys sent this free to us to test and our kids go bananas over it. When little 2 to 5-year-old kids come over to play it’s the main hit they all share. And, best part to me is that it connects with our other standard wooden tracks from all major brands. We put the mighty mountain mine together in about 20 minutes. It has a crane on top, a conveyer belt, trap doors, and tunnels. While a tea party takes work on your end, it’s very memorable to them. Even doing this once a month or once a week will be so special! I let them pour with my help or let them try pouring the smaller pitcher of milk. This is a huge hit and we just use our regular small cups and teapot. Although I’d love to find them mini real ones…remember how special mini stuff was when you were a kid?! We usually grab some treats or crackers, and on a good day we will make some cookies. But really, this is magical to them! 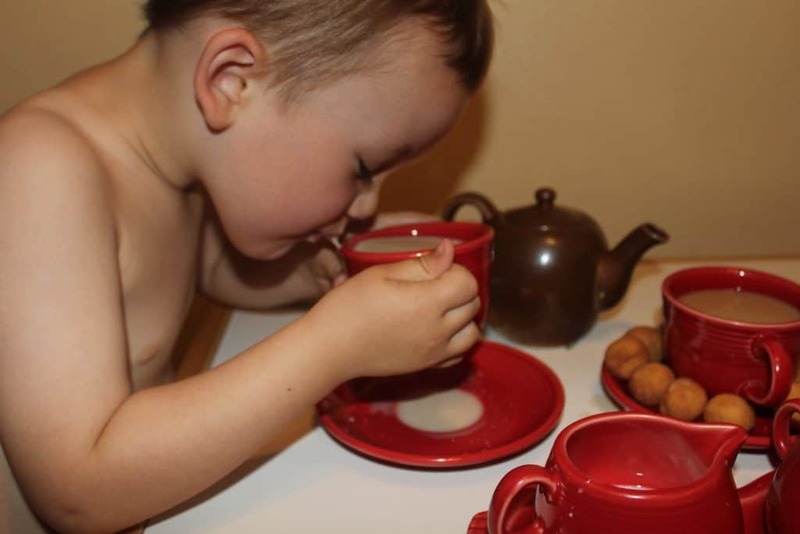 I baught little white Espresso cups with saucers on Amazon that hold 3 oz…and they are the PERFECT size tea cups for little hands. You can see them below. I put my smallest pot and pan out with some spatulas and they get busy making pretend food on the floor. Maybe 10-15 minutes? I’ve found that real household items always trump the toys for some reason. Always their favorite and good for me too 🙂 They play we visit! Instant entertainment. And we all need a mom friend. And to not be afraid to invite someone over. These have been amazing for the toddler age! We use them in the car, inside, and at church. I just fill up the water brush it comes with and they “paint” the page. Color comes through and when it dries the color goes away and it can be used again. The books have 4 large pages and are a little larger, but the ABC cards are WAY nicer because for the same price you get 26 smaller water wow cards. It took my kids a lot longer to color all 26 smaller cards with water than it did the 4 larger paged books. 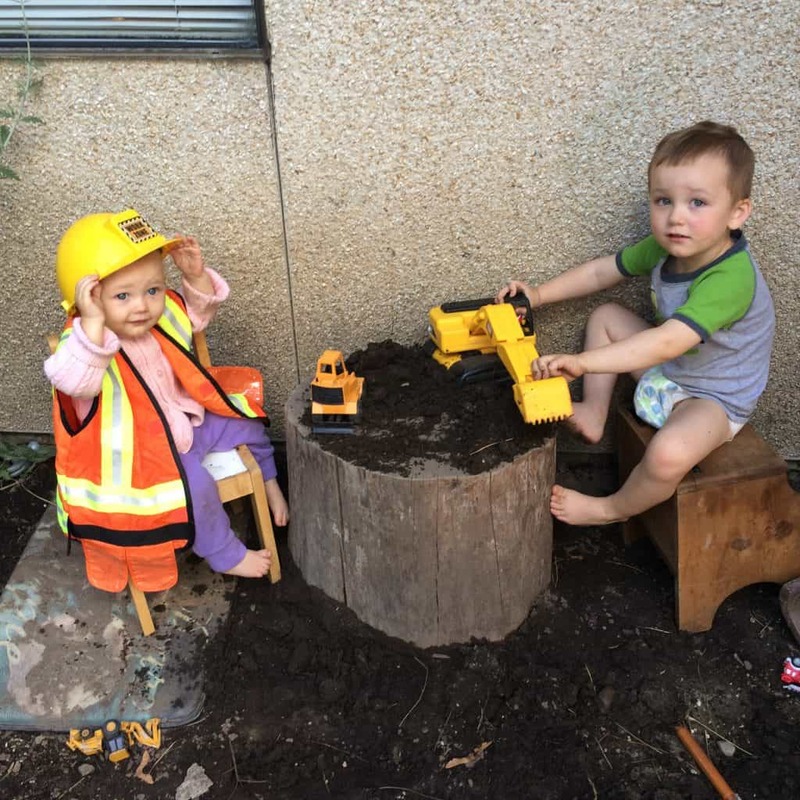 I tell them scenarios to play like: there is a fire to put out…go swing through the jungle…go fix this or that with your saw, go play nap time (my favorite trick and they bring their blankets out and pretend sleep quietly for maybe 10 min! ), go dig a foundation, ect. 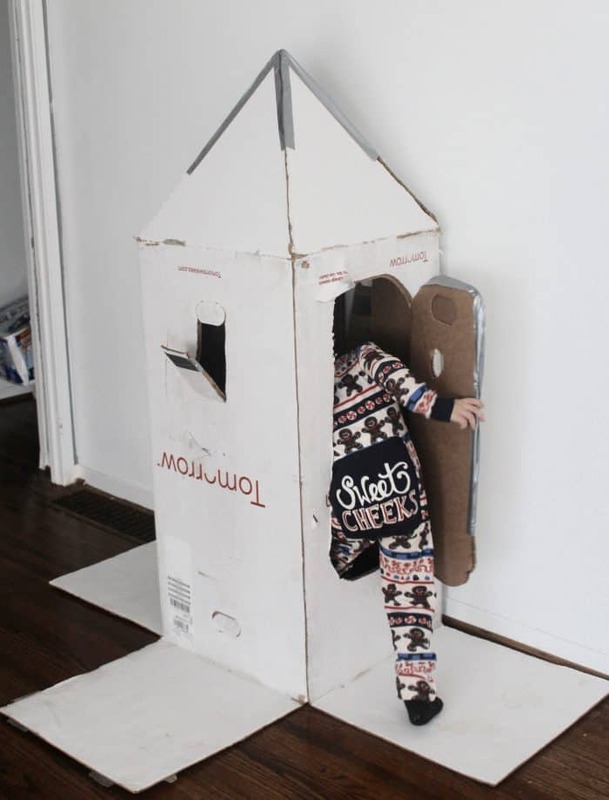 Every cardboard box, even small ones from Costco, can be used to a kid for a day of fun and then recycled. You don’t have to paint it (although your toddler will love it). Pretend they are: cars, beds, trains, spaceships, or robot bodies. When I get an order shipped online, the box gets repurposed for a few hours. If its big, we may cut a door or holes in it to make a spaceship, mailbox, house, whatever. If they fit inside it can be a car, a boat, whatever you suggest 😉 We also pull out the markers sometimes for coloring the inside. Overall, summertime makes winter seem like cake. When they are outside, they are happiest and play for hours…and I get a break. Indoors requires so much more activity swapping, and to be honest, we watch shows more when inside all the time. 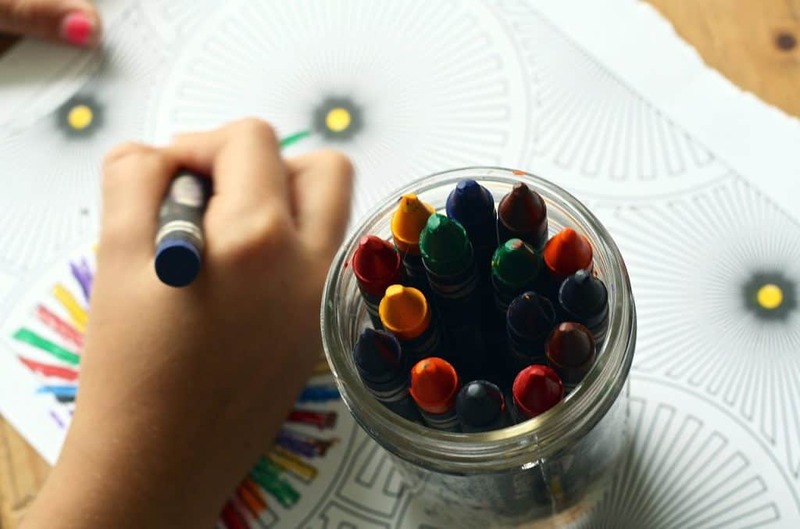 If you are even reading this, you are a great mama and want to play with your kids, so I hope you find a few ideas here and check back for more! Leave a comment if you have other favorites to share with me to try! Thanks Lauren and I’m glad you found it useful for keeping your toddler busy! We will be revisiting all of these again with my third when he’s older I’m sure! Thank you so much for this list!! It makes me feel more prepared for the long winter coming up 🙂 Also, you mentioned wanting the little tea set, we’re getting one from Green Toys for my daughter’s second birthday and I can’t wait to see what she thinks! Thanks Jaime! Yes winter here means way more time inside. I love the tea set you recommended! Hope you guys try some of these. Also your daughter is just the age my son was when we got the gymnastic rings for inside. I LOVED how realistic you were in this article! And the activities were just as much so. Thank goodness I’ve finally found someone who posts real, practical things and not just a bunch of Insta-ready stuff. I’ll definitely be using most of these. I’m so glad you found activities here you will actually use! 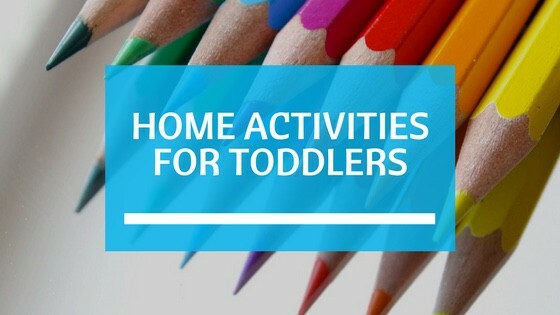 So many activities out there require a lot of prep or actually doing the activity for your toddler and so hopefully these are easy and fun for you.